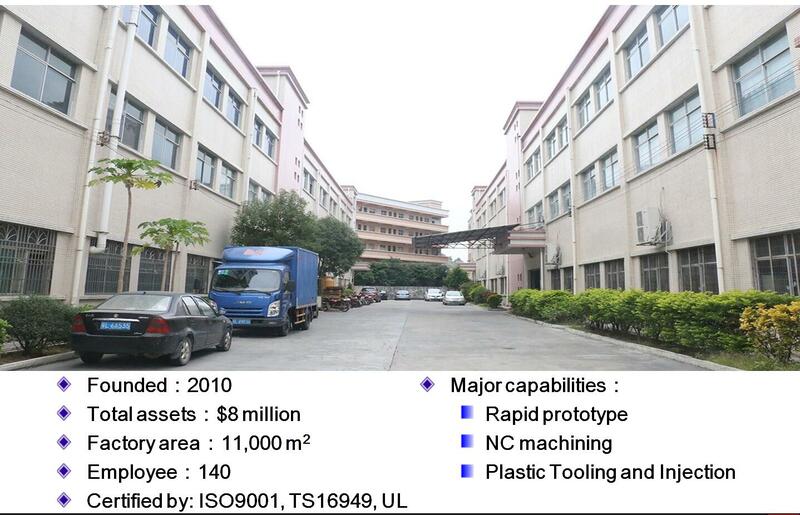 Hot runner technology, with its unique technical advantages such as saving cost and shortening molding cycle, has become an important direction in the development of plastic injection molding technology. In Europe and America, most of the injection production relies on hot runner technology, but there are few enterprises in China using this advanced technology. But with the further development of China’s mold industry, this technology will be gradually promoted and widely applied. How to choose the appropriate hot runner system? The injection pressure loss in the hot runner system can not be ignored. Many hot runner die users have a misunderstanding that the plastic solution in the hot runner is always hot, so the injection pressure loss of the hot runner is much smaller than that of the cold flow channel. In fact, in order to meet the needs of the heat flow channel structure design, the flow distance of the dissolved body in the heat flow system will be greatly increased, so the injection pressure loss in the heat flow system can not be peeped. In practical applications, because of the excessive injection pressure loss in the hot runner system, there are many difficulties in the injection molding, so the CAE software should be used to analyze the flow path analysis by the CAE software for the plastic (such as PC, POM, etc. ), the large flow distance in the heat flow system and the large weight of the parts in the heat flow system. Count. A major difference between the hot runner systems is the heating mode of the melt. The internal heating system is to directly install the heater in the melting channel and heat the raw materials from the inside. The external heating system is heating the raw materials outside, so that the raw materials flow through the flow path without obstacles. The external heating system solves the dead point problem in the melting channel and makes the shear curve in the melt more reasonable. There are many types of gate for selection. Factors to be considered include: permitted gate mark, gate location and injection molding. The type of raw material. Whether it is non crystallization, crystallization or thermoplastic elastomer, different gate types are limited to specific raw materials. Knowing the most suitable raw materials for gating will help to select the best gate. In general, hot runner system suppliers provide two hot runner systems, namely standard and non standard. Then, users should choose the standard hot runner system as far as possible, including standard length and standard size nozzle, hot runner plate, gate insert and so on. This is not only because the standard hot runner system is low in price, short in delivery time, and has interchangeability of parts, which is conducive to future use and maintenance. Once a part is broken, buy another standard part and install it. When selecting hot runner systems, the types of plastics to be processed must be considered. For example, if the processed glass reinforced plastics (such as glass reinforced nylon materials, etc.) should be selected with good wear-resistant gate inserts, a hot runner system with a smooth and unflowing dead angle should be selected if the processing of plastic (such as PVC) is easy to be heat decomposed, and a larger spray should be considered if the plastic material (such as PC) is poor in processing fluidity. The mouth series and the larger runner section size are used in the hot runner plate. In order to ensure the best performance of the system, it is necessary to analyze the plastic parts and processing conditions. Therefore, not only the weight of the products should be considered, but also the appropriate size of the melt channel, including the melt index, injection time, injection period and melt temperature, should be calculated. The appropriate size of the melt channel is very important to the performance of the hot runner. The improper size of the melt channel can lead to the degradation of the plastic, or the inhomogeneity of the injection parts or the incomplete filling, and the slow change of the color. In order to determine the optimum size of the weld, pressure drop, residence time, Wen Sheng, shear rate and color changing frequency should be taken into consideration. If a user needs a large, complex heat flow system, or a plastic with a narrow temperature sensitive and narrow range of processing parameters, a heat flow path design with multi zone temperature control should be selected. In this way, users can adjust and control the temperature distribution according to the need. An ideal thermal channel system should have a uniform temperature distribution, but in fact there will be a variety of reasons for different temperatures in the hot runner, such as the mass of the hot runner heating component, the excessive loss of heat in the combination of the hot runner system and the mold, and the different shear heat of the plastic solution everywhere in the hot runner. The larger the size of the hot runner system is, the more complex it is to choose the hot runner system with multi zone temperature control. Walker Machinery www.walkermachinery.net Distributor Of Metalworking Machine Tools based in Cincinnati Ohio USA.